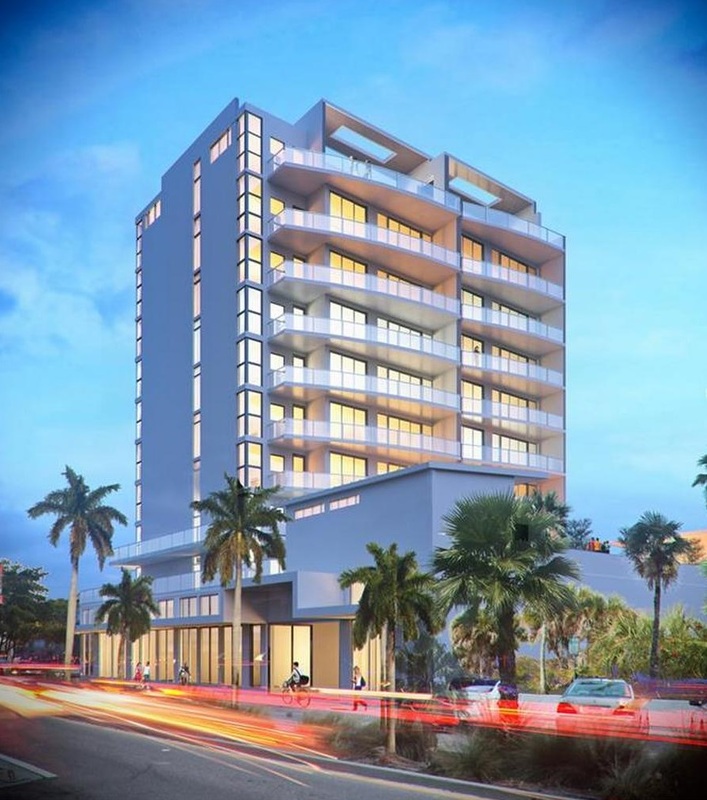 Sansara is a new addition to the downtown Sarasota condo scene. It is scheduled to be completed at the end of 2016. It resides at the corner of Ringling Blvd. and S. Pineapple Avenue. Residents of Sansara will have a relatively short walk to the action found on Main Street. Sansara Condos consists of 17 stylish units in a single tower, all of which boast a sleek and elegant charm. The design scheme of the tower is chock-full of serene Zen influences. Some of the many exciting amenities available at Sansara Condos include covered cabanas, a private wellness spa, a swimming pool, a spacious outdoor social space and an exercise center complete with yoga facilities. Other highlights of the individual condos and tower include a laundry room, roomy closets, high ceilings and a private parking garage. The lobby has a refined atmosphere complete with attractive art pieces, inviting woods and concrete.